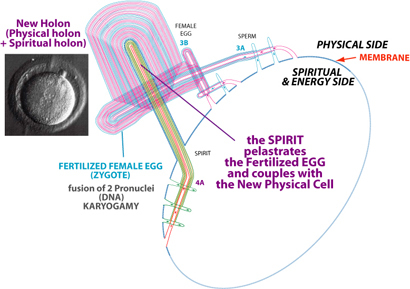 It all starts with a sphere (or Womb) with an non-breakable, indestructible membrane. It is genderless. 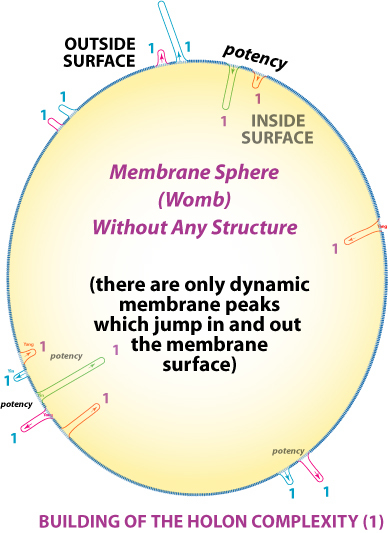 On both sides of the surface are membrane peaks. They are jumping up and down. 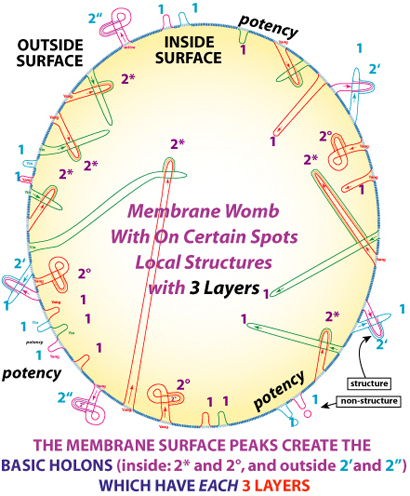 The membrane can self-fertilize itself on spots when two membrane peaks couple due a pelastration. This first holons have each three layers. First holons are like the empty space particles Buddhism refers to. 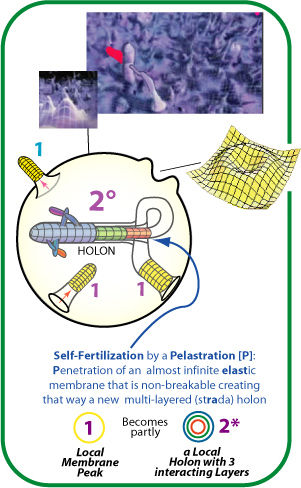 Some of these first holons can combine between them and by combinations with the membrane new more complex holons. These first holons are the base(s) for the five elements (fire, earth, metal, water and wood) of the WU XING. 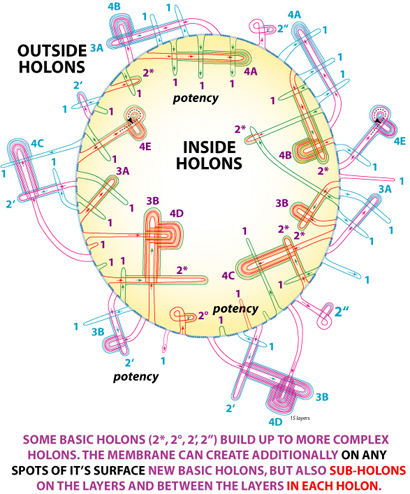 There are several different type of such more complex holons. We see that they can differ in number of layers, but even if they have an identical number of layers these layers have a different sequence. 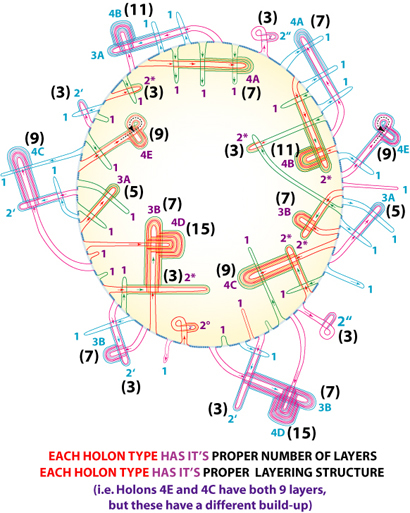 In the pdf "Topological Holons" this can be seen in detail in the 22 holons. These holons can make more complex combinations again. The combinations can be made by holons of the same side (i.e. 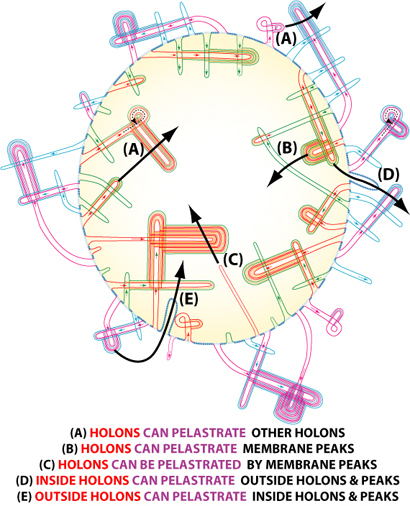 inside) of the Membrane or by holons of different sides of the membrane. The result (layering history) will be very different. Again: Although all boxes are empty ... a HOUSE is made.